I met Tiffany in Leicester and we drove up to the event together - after a quick coffee pit stop, an in-car spruce and LOTS of chattering - and upon arrival, we headed straight for the prawn crackers and refreshments. (10 points if you guessed we headed straight for the food.) Thaikhun provided a delicious spread, and there was a choice between alcoholic and non-alcoholic cocktails. 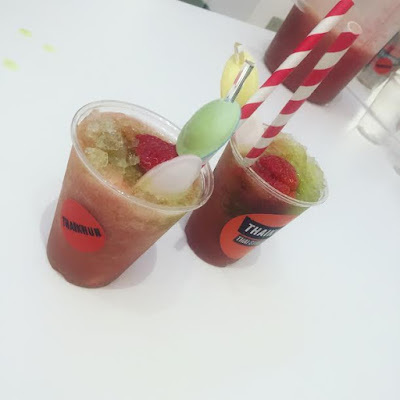 I obviously went for the alcoholic option, which was really yummy and instagram-worthy. Thanks Nathan for making them look all pretty for our photos! 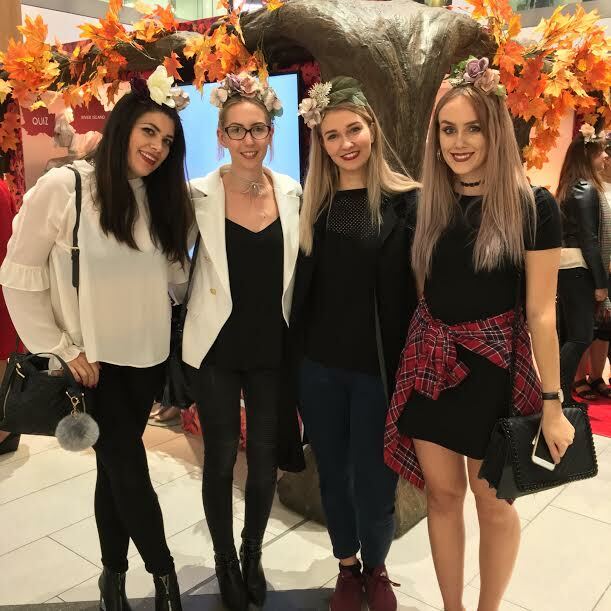 Drinks in hand and a few thousand prawn crackers later, Tiff and I headed over to the cool little craft table, and with a little a lot of help from Amy from SuperSuperHQ, we made some pretty darn adorable Autumnal flower crowns and then took a few selfies! The sequin skirt (£120) was my favourite piece, caught the light so beautifully! After the fashion show we had a little explore of the beauty stalls, Lancome, Liz Earle and the Benefit Brow Bar. 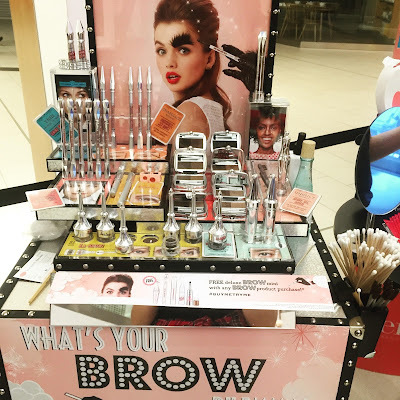 While Tiffany "got her brows did" I had a chat with Laura from Benefit about her essentials from the collection. I've now got my eye on the Precisely my Brow definer pen to replace my Anastasia Beverly Hills Brow Wiz as it's nearly empty. EEK! 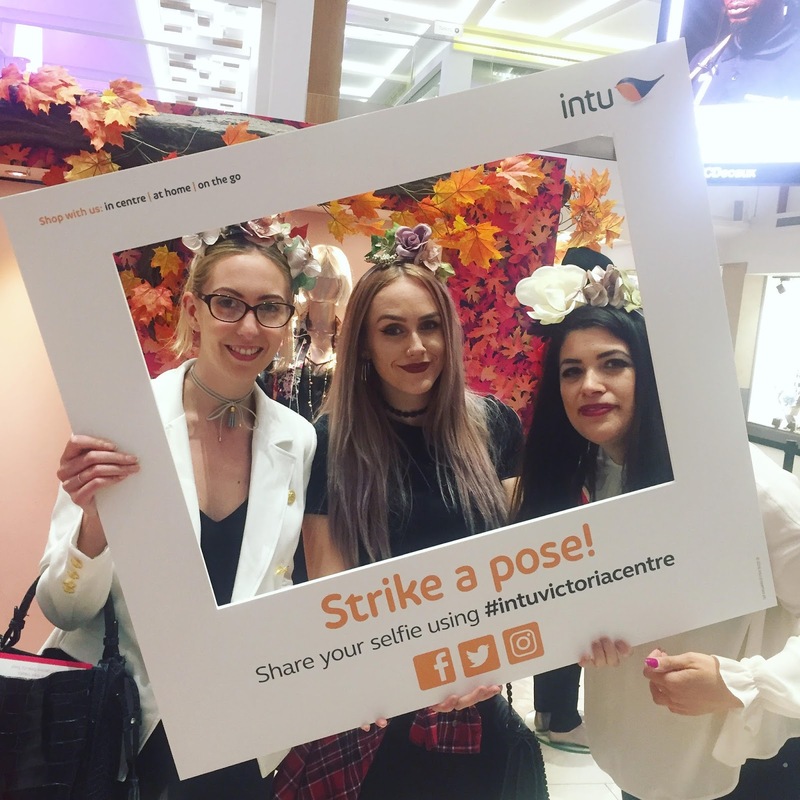 The event finished with a little raffle to win some Benefit goodies, and sadly none of my besties won, but the adorable Ellie from Unique Love Style managed to bag herself a prize! (L-R) Rebecca, myself and Sarah! 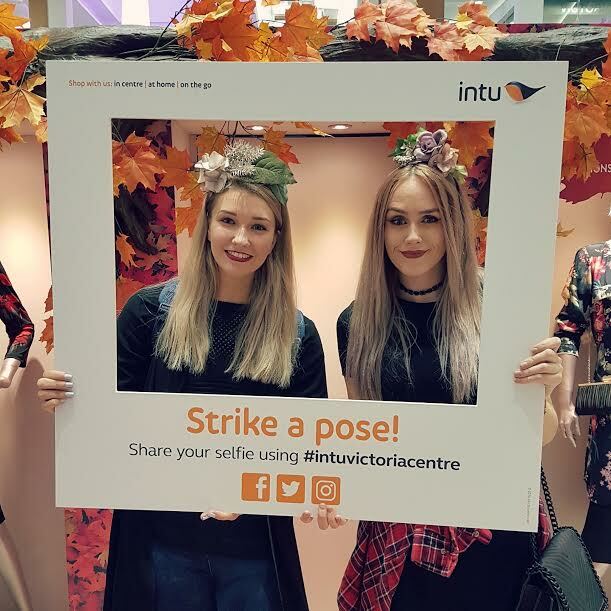 All in all it was a fab event, big thanks to Cartwright Communications for inviting me, Intu for hosting and Amy and Claire for making it such a fun evening! I even went home with some cute goodies from Søstrene Grene - which is a cool Danish homeware and nick nack shop in the same ilk as Tiger and Ikea. Hope you're still with me after that loooooong post! Do you have your eye on any of the Modern Rarity pieces? 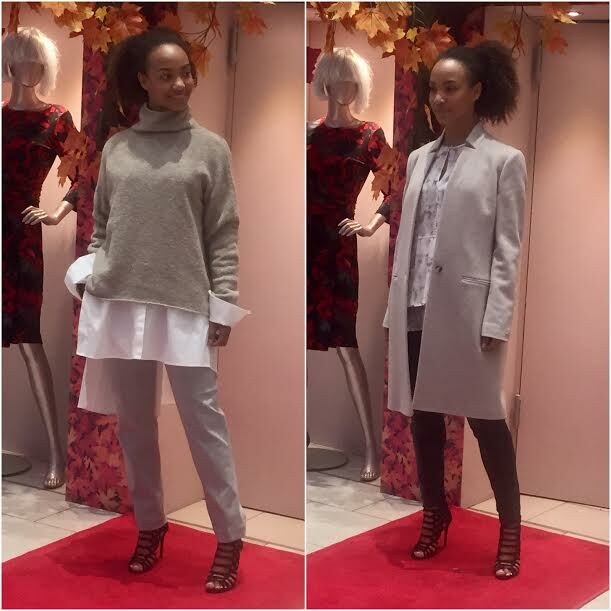 I'll definitely be popping into John Lewis soon to try a couple on!! Ahhhh this looked like SO much fun! Gutted I missed out! So jealous at the flower crowns haha! Haha aren't they adorable? I want to go to a festival just so I can wear one! This looks amazing! I love the sequin skirt, it's so pretty. Would be lush to wear at Christmas parties etc.